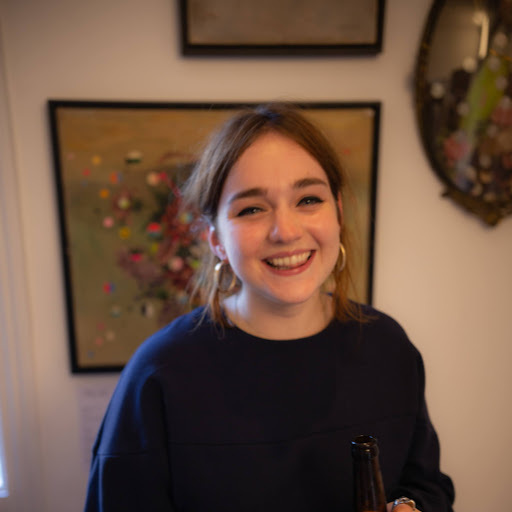 This spring (yes we are insisting it is spring now) we have welcomed London-based artist Rosie Emerson into the Nelly Duff fold. Born from the verdant greens of Dorset in the South West UK, Emerson pursued an artistic career that felt like a natural progression for her, most of her family having also pursued creative paths. This deep-rooted involvement with nature from such an early age is so clear in her works while maintaining an urban edge. The soft silhouettes of her models echo vegetal forms in their elegance, such as a swaying tree branch or a tall and wilting flower, furthered by the sawdust and charcoal that Emerson often finishes her prints with. Emerson confirms natural forms as one of her main influences, along with silhouettes and the rambling treasure troves in the V&A Museum. Emerson capitalises on the traditional trope of the female silhouette by subverting the conventional shape, often portraying her women with extended, trailing limbs that place them somewhere between supernatural figure and supermodel. Emerson describes herself as sitting in ‘an unhappy paradox’ with the work she makes, being lured by the beautiful, but overcome with the desire to subvert, explore and change it. As bombarded by imagery of the ‘perfect’ female form as we are in contemporary pop culture, Emerson uses innovative techniques to create depictions of strong, different and beautiful women that find their power in nonconformity.